Celebrate the timeless nature of classical music. Be thrilled by the haunting sounds of the season. Explore the collections of masterful composers. The 4th Annual Clayton Piano Festival will regale audiences with a week of expertly themed concerts starting on October 30th and going through November 7th. Hometown classical musician, Jonathan Levin, started the festival in 2010 to give back to the community where he was raised. "As many may know, I grew up in the Clayton area and it was here that my musical education began as well," stated Levin. "Clayton Piano Festival (CPF) is my way of giving back to a community which gave much to me and to share my love and enthusiasm for great music with as many people as possible." “Taking high art off of the top shelf” has been the mission of Clayton Piano Festival for the past four years as it has presented fun, family-oriented outreach shows, innovative classes for local music students and accessible, festive concert performances by world renowned guest artists from all across the globe throughout the Clayton area and beyond. This season starts off with a special Halloween party and concert on October 30th called Night of the Living Composers. The event includes dinner, the concert and a dessert reception afterwards. Jonathan Levin will treat listeners to a rousing collection of some of the most horrible works for the piano, in the best sense of the word of course! The program includes famous numbers featured in horror movies and other pieces which have themes associated with menace in some way. Come dressed for the occasion and participate in a costume contest to win free tickets to the concert on November 5th. 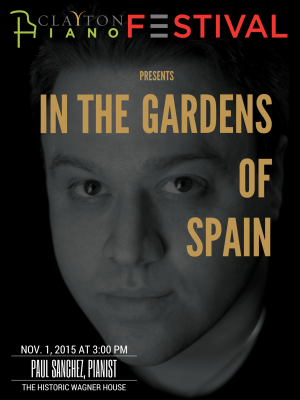 On Sunday afternoon, November 1st, Professor at Baylor University and expert on Spanish music, Dr. Paul Sanchez presents an evocative and thrilling collection of works from two of the most influential Spanish composers, Isaac Albeniz and Enrique Granados. The only American pianist to be invited to study in Spain with the legendary Alicia de Larrocha, Paul will guide the audience through the rich and colorful music of this country. The concert, called In the Gardens of Spain, explores the dances, tangos, folk influence and traditional melodies that make up the unique Spanish flavor. 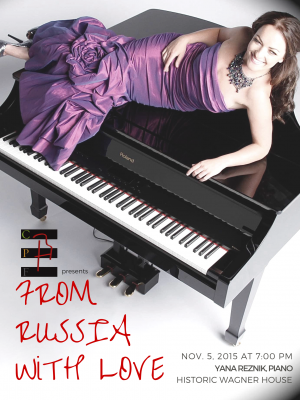 On Thursday November 5th, Russian-born pianist and producer/broadcaster, Yana Reznik presents an evening of Russian favorites titled, From Russia with Love. The concert includes an exhilarating collection of works which everyone knows and loves like selections from Tchaikovsky’s Nutcracker Suite and famous preludes by Sergei Rachmaninoff. You may choose to come early and have a full, wholesome Russian-style dinner, or just come later for the concert, which will again be followed by a dessert reception. The closing concert of the 2015 season is titled Beethoven and Why the Piano Matters, which will be held at Hopper Piano Company in Raleigh. 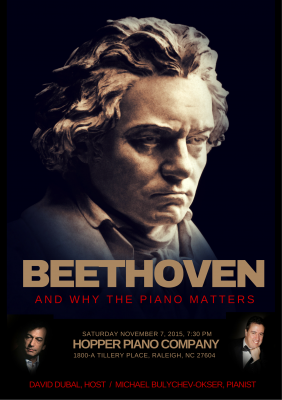 Noted author, teacher, and broadcaster David Dubal hosts this unique look at the life and works of Ludwig van Beethoven through live performances of his piano music featuring the dynamic pianism of Russian born guest artist Michael Bulychev-Okser. The program explores famous sonatas of his early middle and late periods, highlighting the evolution of his style, which was so inextricably linked to the composers&apos; own life and inner journey. Audiences will see how this titan rocked the music world, leaving an indelible mark on the history of music and the piano – a force of influence that is still felt strongly today. 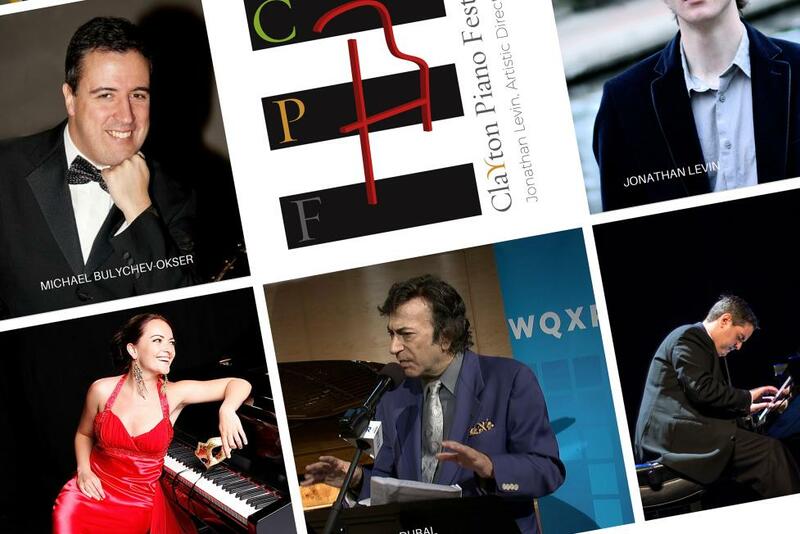 The Clayton Piano Festival is supported by grants, donations, and tickets sales. Ticket prices vary between performances and both a senior and child ticket price will be offered, with package deals as well including the three Wagner House performances. 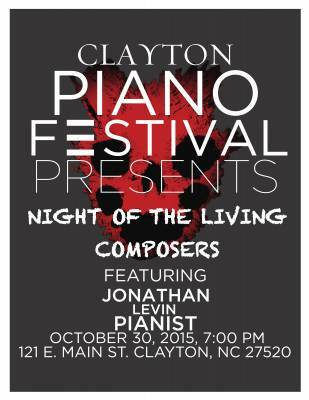 More information and to purchase tickets, visit www.claytonpianofestival.org.